So you’ve started your blog. Congrats. People start blogs for all types of reasons, but mainly they fall into one of two categories. They either treat it like a HOBBY, or they treat it like a BUSINESS. There’s not a right or wrong answer here, just take a moment to determine where you stand, because it can help when you’re wanting to monetize your blog. I assume that’s why you’re here, right? Treat you blog like a business. Those that approach blogging as a HOBBY, will likely discover that’s exactly how it pays, like a hobby. Those that approach blogging as a BUSINESS can discover multiple streams of income, active and passive, that can surpass their wildest dreams. You may watch others and think how the heck does he/she do it?? Well, I’m going to give you some insight into how many bloggers make money. A LOT of money. So now that you’ve hit publish for the first time …or the hundredth time, many bloggers reach a point and think, now what? How the heck do I monetize this thing I’ve created? The average millionaire has SEVEN streams of income. It’s important to not put all your eggs in one basket. When you start creating multiple streams, they add up fast. Blogs are a great opportunity to create multiple streams. Please note, I’m not going to get into How To Start a Blog because that’s a different post. For these purposes I’m going to stick with ways to monetize your blog and my own personal experience of what’s worked for me and other bloggers I know. When I started my blog in early 2014, someone told me about the two types of bloggers and it was helpful to realize I did want this to be a business. I wanted to be proud to say I was an entrepreneur, girl boss, etc. They also said that if I decided to treat this like a serious business…”You’re going to work harder than you’ve ever worked in your entire life.” That was a tad intimidating but at the same time I knew why. Self discipline. This can be tough when all of a sudden you’ve run out of ideas to blog about…or a friend calls…or that binge-worthy Netflix show is calling your name. If you haven’t decided that building your blog is as important as a typical J.O.B., you’ll likely drop the ball. Okay, here we go…here are my tips. First you must lay the groundwork that will help you have more success later. Establish your “Know, Like, and Trust Factor”. Start an email list. Now. This is the biggest regret I’ve heard from bloggers. No matter how big or small your audience is, develop a way to gather emails because this will be very beneficial when it comes time to monetize your blog. It’s more important to have a large email list than it is to have a big social media following. You don’t own your social media following but you do own your email list. The best way to gather emails is to create an opt-in. This is a small free gift to give in exchange for them giving you their email address. 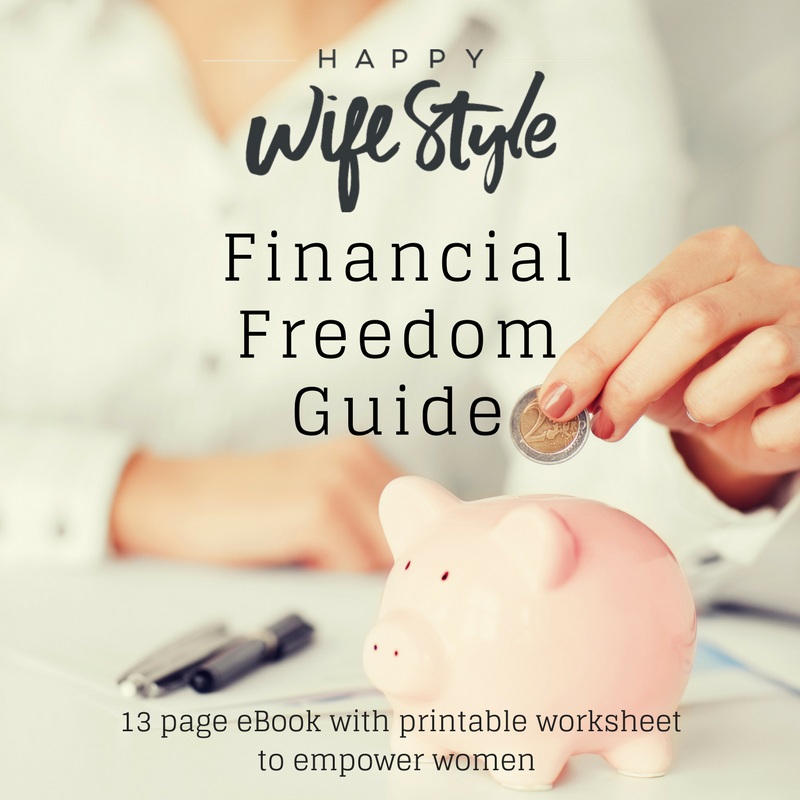 You can check mine out at the bottom of this page, give it a try to check out my opt-in eBook. Mailchimp is a great service to start with because it’s free to start, easy to use, and only starts charging you when your list gets bigger. Most bloggers start off monetizing their blog by becoming an affiliate. Essentially you use and share products you love with your audience and when they purchase through your affiliate links, you make a commission. An easy one that anyone can easily sign up for is Amazon Associates. There are all kinds of companies that offer affiliate commissions, depending on your blogging niche. Being an affiliate can mean many different things, from recommending a product, a program, a subscription, a course…. it can seem like a small amount of income at times, but don't frown at that “some money life” as one of my mentors, Nicole Walters used to say. It adds up and can contribute as a consistent stream of income for you. Just be choosey and only recommend products and services you stand behind and use yourself. I’ve turned down most of my affiliate inquiries because my “know like and trust factor” is very important to me and I’ll never dishonor that just to make a buck. If you’re a fashion blogger or even dabble in it, you can make a good income sharing your outfits. The gold standard affiliate program for fashion and home that gives you access to hundreds of brands is Reward Style or LIKEtoKnow.it which has been a good source of income for me. It is an application process and if you’d like a referral, let me know which may help. Create Digital Products for passive income. One of my favorite ways to monetize is through knowledge-based products, also known as Digital Products. When I first learned about this my mind was blown. I came from a place of working a day job for 17 years and only knew how to exchange my time for money. I’d heard about the elusive “passive income” or “residual income” that people spoke of…but I never thought that would be possible for me. Think again. This is very possible and can be a strong stream of income for bloggers. Everyone knows something they can teach someone else. Everyone. It can be as small as creating a simple PDF of a “how to” or a grocery list that you sell for a few dollars. It can be an eBook of your recipes. It could be an eBook teaching anything at all! It could be a full blown course where you teach a more detailed topic with multiple modules. That’s the thing…it can be ANYTHING people need to know about. The price of digital products can be very low to very high depending on what you create. This is the kicker… with a digital product, you create the PDF, eBook, training course, whatever, ONCE. You create it ONCE and sell it OVER and OVER and OVER again. Digital products are usually digital downloads that can be completely automated and delivered to the buyer without you even knowing it at the time. This is what I like to call “Sleep Money”. Oh, and guess who your audience is that can purchase that digital product? …THE WORLD, that’s who. There is no limit. Stop for a minute and think about the numbers for a minute. What if you had a digital product that was $9.99 and you sold X-number of them for years and years? THAT’S TRUE PASSIVE INCOME. Just make sure you create products that have VALUE. Now I realize there’s a lot more to know here because you might be thinking ok, Shannon that sounds amazing, but HOW DO I DO THIS?? Those details might be another blog post for another time. …or possibly a digital product teaching you exactly how!… See, once you become a blogger and start monetizing your blog, you get a ‘monetized mindset” and start seeing ways to earn income by creating valuable content in different ways! Are you starting to see why that email list and your “know like and trust factor” are so important? Offer Coaching or Consulting Packages. Start charging for your time. This can be uncomfortable at first, but it’s necessary to establish this boundary so you don’t get taken advantage of. Inevitably you’ll start getting the “can I pick your brain” questions from people who want insight from you. Your time is valuable and you offer an expertise. You deserve to get paid for your time. One way you can create a stream of income is to determine what your time is worth and decide what instances you’ll implement it. Instead of just answering every question, there will be times you need to say, “I’d love to answer that for you when I can give you my undivided attention. Here’s a link to set up a 30 minute “Discovery Call” or a Consulting Call”. A great service to use for this is Acuity Scheduler. If you have this set up on you blog, it’ll be ready for you when you are. I know this one can be a little uncomfortable at first if you’re not used to it because we are used to just giving and giving… but create this boundary and you’ll be happy you did. Are you a Coach or offer Consulting? Create packages of what you offer and this can be a great steam of income for you. Nowadays you can have clients all over the world and connect with them live through Skype or Zoom video conferencing! Join a Direct Selling Company. After doing extensive research and asking a ton of questions, I did something I thought I’d never do. I joined a Direct Retail company. I became a Beautycounter Consultant. I had no idea at the time that it would end up being the best decision I ever made for my blog and business to date. With what I know now, here’s my thoughts about joining a Direct Selling Company, Network Marketing Company, Multi-Level Marketing (MLM) etc… because this can be super helpful for you. You should join one because it’s one of the best ways to monetize your blog…but joining the RIGHT ONE is KEY and I can help save you time and money. Beautycounter is doing things differently than any other company out there. It’s a safer skincare and makeup company based in Santa Monica, Ca. We educate about safer products, we offer a solution through high performing safer products, and we advocate for better beauty laws across all brands. We’ve also coined the term “Direct Retail” because we sell product through multiple channels such as e-commerce, consultants like me, limited time collaborations with big brands like Goop, J.Crew, and Target and we have Retail Stores where we still earn the same commissions when clients shop in store. Pretty cool, huh? We allow people to shop the way they want to shop. Consultants like me get paid 25%-35% commission on all products we sell, and earn a percentage on our team’s effort if we decide to grow a team. That’s why so many bloggers love this company because you don’t have to ever purchase any product for yourself or grow a team if you don’t want to. You can treat it like any other affiliate program. The difference is, it pays WAY more than other affiliate programs. THIS choice to join Beautycounter is the reason I’m now surpassing what I used to make at my day job. I know many women on my team personally that are earning $25K to $60K on up per MONTH. Beautycounter was just named most Googled Beauty brand of 2018 and is on the bubble of a boom. We are only 5 years old and are at the intersection of the two fastest growing industries out there. BEAUTY and WELLNESS. It’s a good place to be. When considering a company it’s smart to choose products you LOVE and are very passionate about sharing with others. I love Beautycounter products so much that it’s easy for me to tell everyone I know about it. That’s key. Don’t be afraid to SELL. You deserve to earn an income. Get over it. You don’t have to be “sales-y” to sell. Share what you love authentically like you would with a friend. We do that naturally anyway, why not get paid for it. It’s also smart to choose a company who offers a product that people already use…you’re just asking them to switch to your product. Think of it like this…. people already use skincare, body care, hair care, and makeup. I get to teach people how to switch to safer, high performing options that they LOVE once they try. I think companies that offer a product that is NEW to someone or isn’t a necessity is harder to sell and requires a lot of time educating how to use it. They may buy once, but may not buy again if it’s not a necessity. It’s also smart to choose a product to sell that can be used up and will run out. They need to replace it when it runs out and will bring you long term clients and repeat sales. I also am a fan of joining a company in which you don’t have to carry any inventory …which makes it so easy. Makes sense, doesn’t it? Lastly, examine the compensation plan and see who is making money in the company. How quickly can you earn your investment back? Are only the people at the top of the company making the big money? I loved that I could start earning 25%-35% commissions with the very first product I sold with Beautycounter. The compensation plan is the most straightforward and generous I’ve seen. It’s mind blowing the amount of money that bloggers…and non bloggers…are earning with Beautycounter. Reach out to me if you’re interested in adding Beautycounter to your business, blog, or life. I’m happy to answer any questions to see if it’d be a good fit for you. Here’s the REAL REAL —> I have multiple streams of income but MOST of that $6,000+ per month comes from my Beautycounter business. Best decision I’ve ever made for my blog. Lastly, once you become an established, successful blogger, consider writing a book. This is the thing that can really add legitimacy in your business. There are so many different types of books that bloggers write and publishers often say yes to bloggers if they have a significant email list because they have a built in audience waiting to buy their book. I personally have not done this yet, but have about 3 books in my head that will hopefully unfold someday when the time is right. 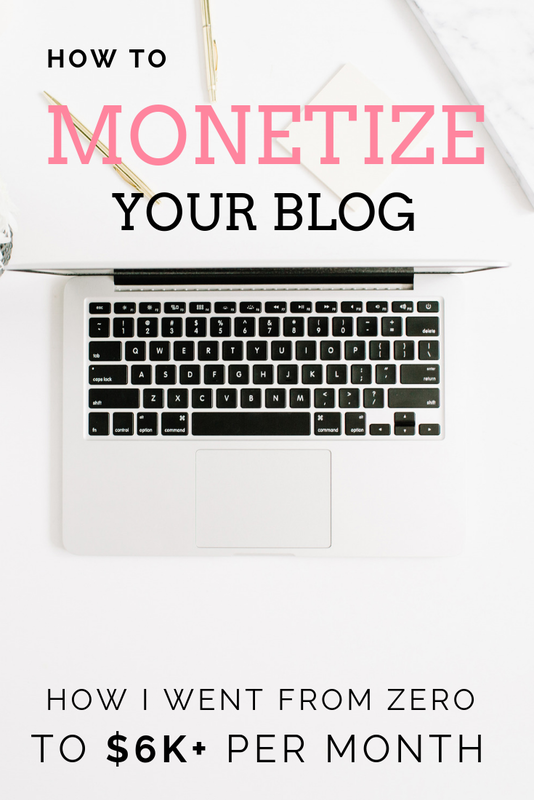 I really hope this helps give you some inspiration and ideas on how to monetize your blog. Leave a comment below if this is helpful! I thought it would be helpful to share some examples below of how I implement some of the ideas I talk about in this post. Remember that the sky’s the limit…the world can be your customer! Dream BIG, then dream BIGGER. This is an exciting time when people are earning an income in a brand new way and online is where you want to be. Wishing you multiple streams of income, a monetized mindset and continued success! Learn more about how to start your Beautycounter Business HERE﻿. 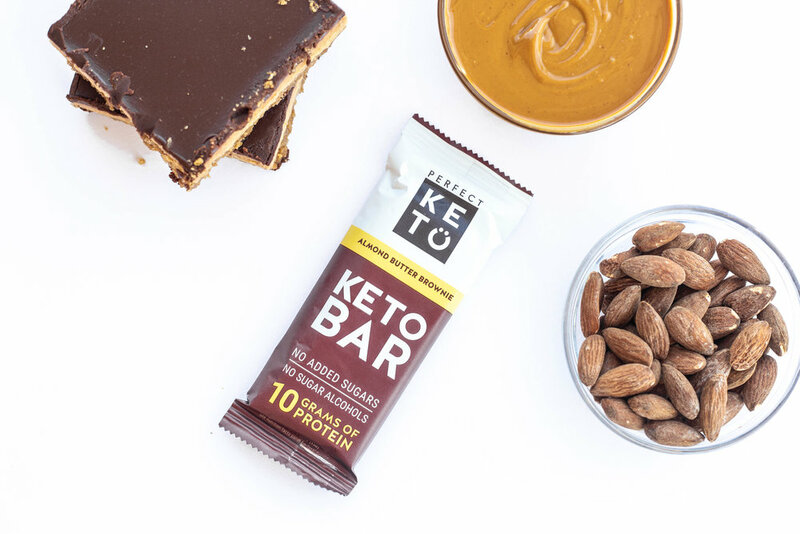 Sign up here to get my 5 Favorite Paleo Recipes - a FREE full-color downloadable eBook - ALL the recipes are Whole30 approved!